2015 has been a wonderful year for many reasons, not least watching my daugher grow from baby to child. I feel perhaps more contented this year than I ever have before. But it’s also been a year of loss, with death and mortality never too far from my mind. The first piece I wrote this year was on Broadcast’s Trish Keenan, love and loss. 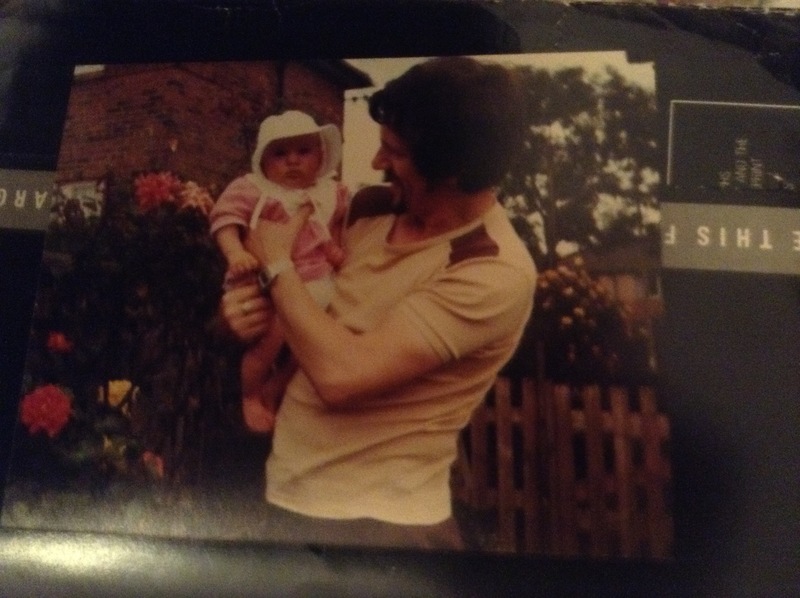 My father, who passed in 1996 has been in my thoughts more than usual, now that I’m living back in Leeds, just round the corner from his old flat. A more than usually high number of friends and colleagues seem to have lost people close to them this year, although perhaps these things are just affecting me more now than they ever did before. 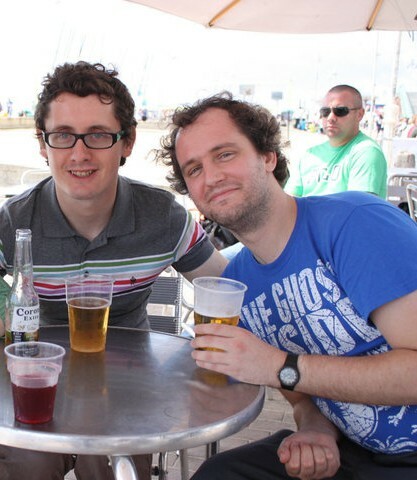 Most significantly, back in March, my friend Nick Mann was killed in a tragic accident, and he and his death have been on my mind ever since. Once you start thinking about death, you’ll find reminders everywhere, often where you least expect them. I remember sitting down with my wife to eat a takeaway the week after Nick died. We were searching for something light to watch with our meal, and settled on Series 2, Episode 2 of Inside Number 9. If you’re not familiar with the series it’s a comedy, dark and macabre at times, but essentially pretty silly. However, this particular episode proved to be one of the most devastating half hours of TV we’d ever seen, especially given the news we’d just had (I won’t spoil it, but it deserves to be seen if you haven’t already). By the end of the episode I was weeping into my falafel wrap, but also half laughing at what a spectacularly bad choice of entertainment we’d made. Even watching Peter Kay’s Car Share, which is about as gentle as comedy gets, made me sad when they started talking of what song they’d have played at their funeral. I used to joke that I’d like the theme music to Johnny Briggs as it seemed the most jaunty and inappropriate tune imaginable for a funeral, but it’s not a subject I’ve wanted to joke about so much recently. With mortality so much on my mind, I’ve found myself pondering more than usual what life would be like if I lost someone close to me. It’s not unusual or wrong, I think, to worry about these things, but I’d rather enjoy the company of those I love than spend time worrying about what would happen if they were no longer around. The one person whose death I have never been able to think about is my daughter. There’s no reason I would want to think of such a dark topic of course. However I now know a number of parents who’ve lost children in vastly different circumstances, from my friends who lost their son Theo, after just a few hours of life, to Nick’s mother, losing her oldest son completely out of the blue. So, in a way, it wouldn’t be surprising if I imagined losing her. However, when I say I it’s impossible to think about my daughter’s death, I don’t just mean that it’s difficult or tragic to do so, I mean I literally cannot. If my mind even begins to wander in that direction, it shuts off or changes tack completely, a protection mechanism of sorts, I guess. I’ve even found it hard to write this, feeling somehow that death, especially the death of a child, is a taboo subject, but the one thing that everyone I know who has lost someone close has said is that they want people to talk about it, to not be afraid to bring the subject up. 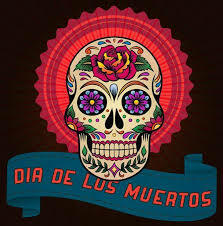 Today, in Mexico, is the Day of the Dead, a festival to celebrate and remember those we have lost, and that seems a much healthier attitude to death to me, even if it is an attitude that I sometimes struggle to hold. I’ve just read back the tribute I wrote for Nick back in March, and my main emotions are the time were sadness and anger. That’s still the case today, but I feel it’s starting to change. Should I be sad that Nick is no longer around, or happy that I was lucky enough to know him for 15 years? The latter, of course, even if it is easier said than done. So today, and this day every year, I’ll be with the ones I love the most and remember those we have lost. I’ll remember Nick and smile at his ways. For some reason the time he chased two burly men who had stolen his chips up Oxford Road in Manchester always springs to mind, as do his fits of giggles at the clown college episode of The Simpsons. I’ll remember the good times with my dad, the trips to the seaside, the games of football in the garden, the staying up late watching Monty Python. I never met Theo, but I’ll remember his funeral, and how much love and support from friends and family was in the house of my friends that day. And everyone else we have lost, or will lose as the years roll on, I will remember them too, until I become one of those who is remembered. Just as importantly, I’ll think of all those I love who are still here and how lucky I am to have so many people in my life who make me happy, even if I don’t see all of them as much as I would like. Some of those people will be reading this, and if so, I hope you know who you are, but if not I promise not to wait until it’s too late to let you know. Next Next post: Do I Not Like Jazz?